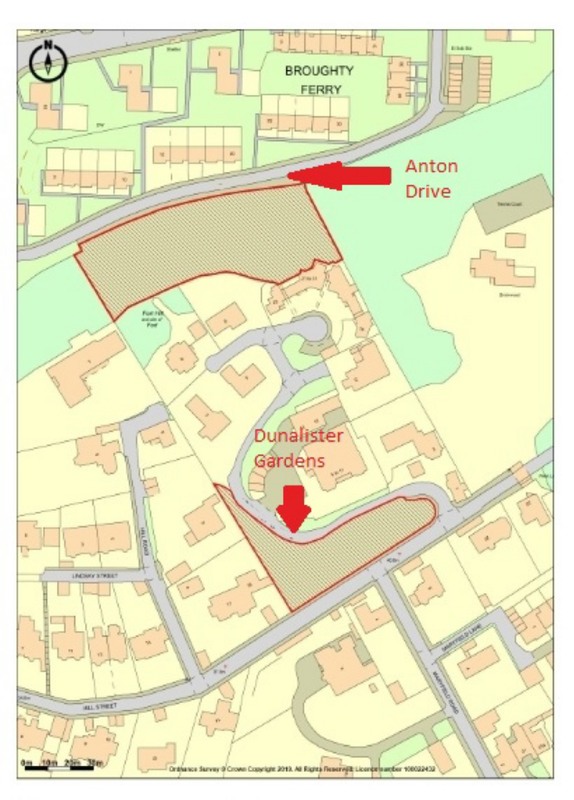 Land for sale in Broughty Ferry | Woodland Ground Dunalistair Grdns & Anton Dr | Thorntons Property - Estate Agents in Dundee, Edinburgh, Angus, Perthshire and Fife. Rare opportunity to purchase two parcels of woodland located within central Broughty Ferry. The ground lies to the North and South of Dunalistair Gardens. The location is within central Broughty Ferry and as such as easy access to central amenities, beach, harbour and central Dundee. The woodland to the south extends to approximately 0.45 of an acre whilst the ground to the north extends to approximately 0.50 of an acre. There may be possibility for future development subject to the usual planning permissions being granted. This is an exciting opportunity within a highly desirable location and viewing is to be highly recommended.